We’re excited to announce that Kidical Mass kicks off the Summer season on June 21st at a new location for 2014, Sinsheimer Stadium. This month’s theme will be Heroes! What kind of heroes? Any kind of heroes! Super heroes? Sure! Sports heroes? Yeah! Brainiac scientists? Yuppers! Hero Sandwiches? Umm…..okay! Arrive at 4 pm for a quick review of how kids and families can ride smart, followed by a safe, fun ride at 4:30. After the ride, the Sinsheimer Stadium gates open at 5:00 for the Blues baseball game. 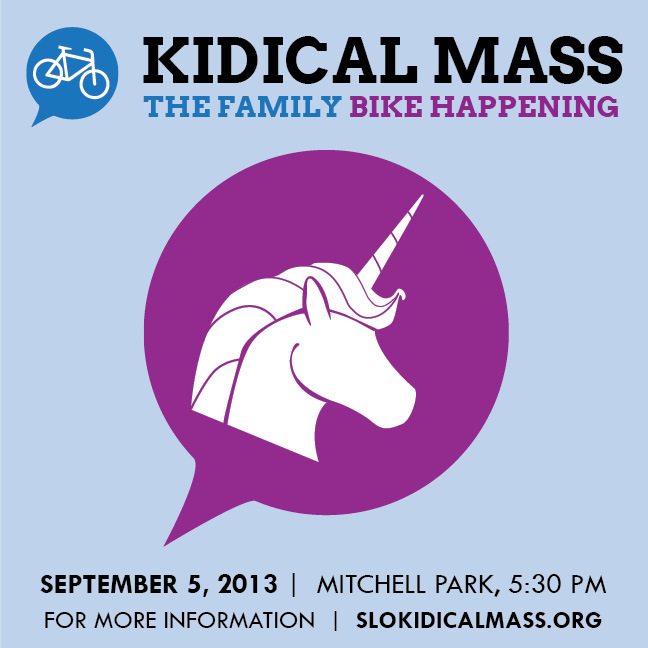 All kids get in free and the first 50 Kidical Mass adults do too! Once inside we’ll set up our Family Biking Resources table, with helpful info about biking with kids in SLO County. Check out our website for maps and information about other Kidical Mass events this summer. https://bikeslocounty.org/wp-content/uploads/2014/06/kidicalmass800-e1403024843486.jpg 361 500 coalition2001 https://bikeslocounty.org/wp-content/uploads/2015/07/BSC_RGB_340_TEST1.png coalition20012014-06-17 10:08:332014-06-17 10:12:33Kidical Mass 2014 is finally here!